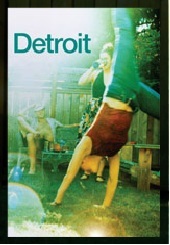 Another excellent deal snaffled on my commute put me in an aisle seat at the Cottesloe Theatre for Detroit tonight. Written by Lisa D’Amour and first presented by the Steppenwolf Theatre Company in Chicago in 2010, it’s a raw and wry out take of life in the suburbs – but not quite as we know it. Ben and Mary scratch along together in life, she as a highly-strung paralegal, he as a mortgage advisor recently made redundant. The play opens on their back patio with new neighbours Kenny and Sharon who have been invited over for a BBQ, and continues by moving back and forth between the adjoining back yards until the final scene. I don’t want to divulge too much so I won’t talk about the plot. In any case, I went along without any knowedge of the story, just letting it all unfold in front of me and I loved it. Often when you don’t know what to expect, you can just be present to the action in front of you rather than taint it with the anticipation of what’s to follow. Suffice to say Kenny and Sharon have an interesting past and these two unlikely couples share neuroses, dreams and philosophies on life until the whole thing goes up in smoke. The characters are larger than life and there’s no one performance that shines brighter than the others. One minute I’d be cringing at Mary’s pedantry and nagging, the next chuckling at Kenny’s slightly skewed outlook on life (or dancing), then smiling at Sharon’s passionate neighbourliness, before wondering what sort of business Ben could possibly end up with as he interrupts his website ‘development’ activities to offer some self-help style financial mentoring for ‘them next door’. The Cottesloe is quite a small theatre with the audience sitting right up against the performance ‘space’ so the whole time I felt like I was peering over the fence from my own back yard. It added an intimacy to the play and it felt slightly voyeuristic with every afternoon shindig and midnight tryst that played itself out before us. The performances were electric and with no intermission, this ensemble cast maintained a cracking pace for the audience for just under 2 hours. Will, Stuart, Clare and Justine really did leave it all on stage. They were brilliant. Alas, this production at the National Theatre on London’s Southbank closes next Friday (14th July) so you’ll have to get your skates on if you want to see this one. But it’s expected to have its off-Broadway debut in August at Playwrights Horizons and as tickets went on sale today, those of you across the pond have the opportunity to partake. I saw a play years ago – Art written by Yasmin Reza – which is one of my all-time favourites and Detroit reminded me a little of that. Gritty, dark, passionate and not for the faint-hearted. But absolutely fantastic and not to be missed. 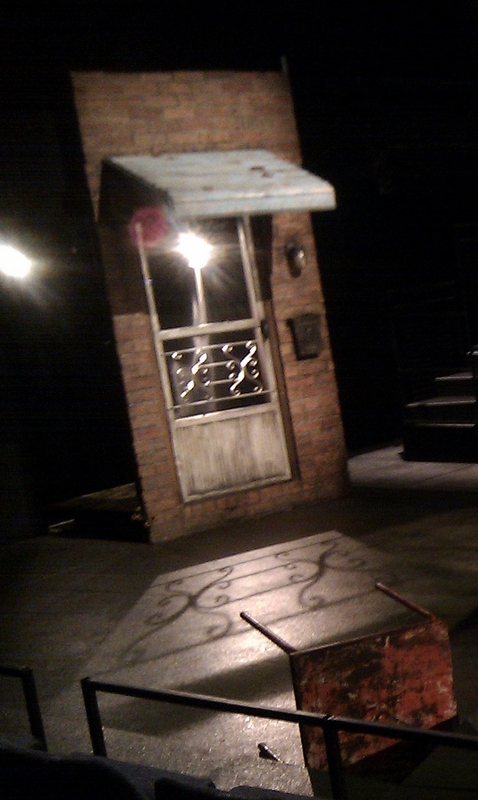 This entry was posted in All the World's a Stage, Commuting Gems, Expat moments, Life in the UK and tagged Detroit, Life in the UK, Lisa D.Amour, Off Broadway, Steppenwolf Theatre Company, theatre by Kym Hamer. Bookmark the permalink.